A handful of teams from Southern Maine made its way to Manchester, New Hampshire to compete in the 43rd running of the Manchester Invitational. With its thundering downhill finish, the race was an opportunity to run a fast time for all athletes. 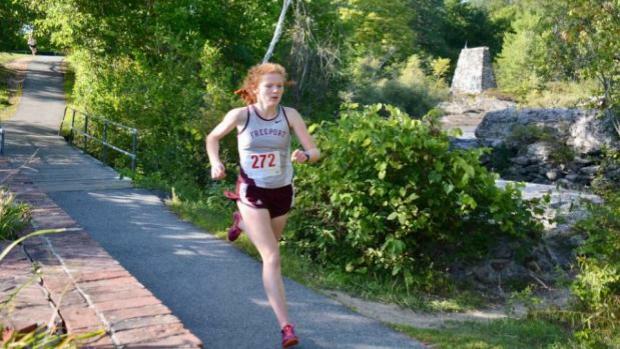 Taking advantage of that was Lily Horne of Freeport, who had the most impressive run from a Maine athlete as she finished second in the girls' 'Small School' race, running 19:35. Horne led the Falcons to an 18th-place finish out of 30 teams. Marshwood was the top Maine school in the field, finishing 12th overall. The Hawks were led by Mackenzie Young, who finished just inside the top-20, getting 19th in 21:21. Gould Academy finished 22nd, with Kents Hill School three spots back in 25th. Freeport was the top Maine team in the boys' 'Small School' race, finishing 13th out of 38 teams, and got a strong run from Alex Les who finished 25th in 17:52. Les was the top Maine boy in the field. Cheverus High School finished 18th overall with Donald Mahoney leading the charge for the Stags, finishing 33rd in 18:04. Marshwood finished 23rd, while Gould Academy (26th), Hyde School (31st) and Fryeburg Academy (34th) rounded out the Maine contingent. Kylie Johnson of Massabesic was the top Maine finisher in the girls' 'Large School' race, finishing 31st in 20:38. Johnson led the Mustangs to a 25th-place finish out of 30 teams. The Deering Rams were the top Maine team in the field, finishing 13th overall. The Rams had a 1-3 spread of 53 seconds, with Nicole Whipkey leading the way in 21:03, finishing 41st. Teammate Sierra Aponte-Clarke was eight seconds back in 21:11 finishing 46th, while Lucy Tumavicus finished 72nd in 21:56. The Rams were the top team on the boys' side as well finishing 13th in the 37-team field. Alec Troxell had a very solid race for Deering, finishing 13th overall in 16:40. Troxell's teammate Yahya Nure was 15 seconds back, finishing 23rd in 16:55. The Massabesic boys' (5th in the Flo50 Poll) finished 25th, getting a 53rd-place finish from Alexander Swett (17:36). While Deering made its presence known in Manchester on Saturday, there was a very competitive SMAA meet going on on Friday at Thornton Academy High School in Saco. On the girls' side it was a showdown between no. 1 ranked Gorham and no. 5 ranked Bonny Eagle, while on the boys' side you had Scarborough -- maybe a top five team in the state when fully healthy -- Gorham, and Thornton Academy going at it. 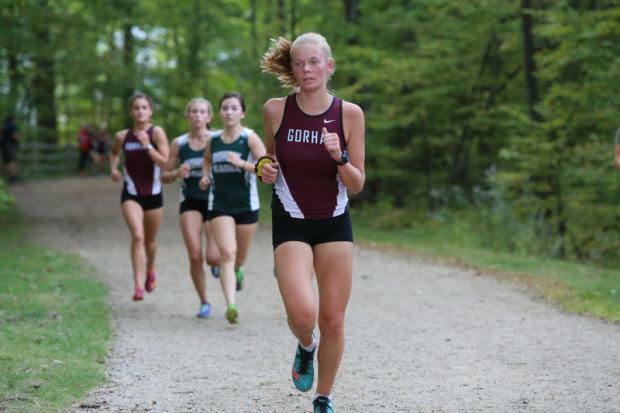 The Gorham girls' lived up to its top ranking, beat Bonny Eagle 41-45 thanks to top-10 performances from Iris Kitchen (5th, 19:36), Anna Slager (6th, 19:42) and Kate Tugman (7th, 20:01). Bonny Eagle had three runners ahead of Kitchen (Ami Beaumier won the race in 19:01, with Kayla Raymond 3rd in 19:21, and Christine Toy 4th in 19:35), but the Rams had a 1:02 1-5 split compared to a 3:45 1-5 split for the Scots. 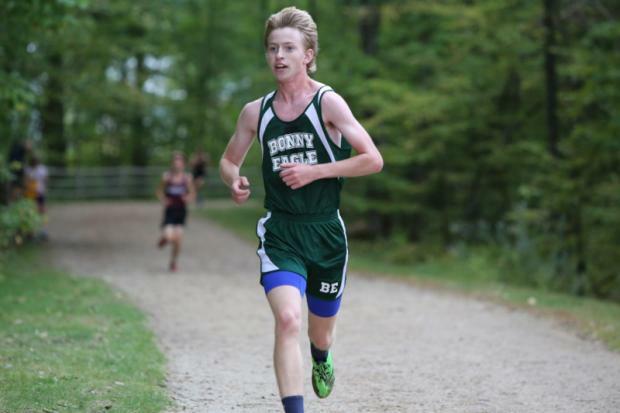 Bonny Eagle might have the strongest top three in the state, but will need its four and five runners to minimize that gap in between to truly compete for a state title this season. Bethany Sholl of Scarborough finished second overall in 19:12, leading Scarborough to a fourth-place finish scoring 83 points. Westbrook was third with 76 points, getting an eighth-place finish from Quincey Lyden (20:13). It was Aiden Willey of Bonny Eagle taking the boys' race in 16:40, eight seconds ahead of runner-up finisher Anthony Chase of Gorham (16:48). Behind Willey, the Scots had five runners in the top-16 overall to score 56 points, edging Thornton Academy (60) and Scarborough (66). Harrison Osborne finished third in 16:51 for Scarborough, who, again, was running without its top runner Connor Coffin. If Coffin can come back and return close to his 2016 form, the Red Storm should be among the handful of favorites to place high at the Southern Regional in late October. Thornton Academy had a very strong day, getting top five finishes from Landon Heidrich (4th, 16:52) and Jackson Pierce (5th, 17:02). The time set personal-bests for both athletes. Perhaps the most exciting finish of the season thus far came in the boys' race at the Sectional Invitational at Old Town High School on Saturday. The race came down to MDI's Thorin Smith and Orono's Jonathan Steelman, with Smith finding an extra gear in the final 50 meters to win in 17:26.40 with Steelman less than a second back in 17:27.29. Dylan Marrero of Caribou was 12 seconds back in third running 17:39.14. Steelman may not have won the race, but behind his runner-up finish, and Matt Keresey's fifth-place finish (17:48), the Red Riots won the Invitational, scoring 46 points, 17 ahead of runner-up Mt Desert Island (63). Sam Holt and Jonathan Spencer also had strong runs for Orono, finishing eighth and 11th respectively. Nick Reznick was MDI's second runner, finishing fourth overall in 17:44.13. The girls' race didn't have nearly as close a finish, as Orono's Camille Kohtala won in 21:13.98, with teammates Erin Gerbi and Liza Gallandt following, running 21:29.06 and 21:33.78 respectively. The Orono girls' cruised to its fourth-straight Sectional title scoring 43 points, 16 ahead of runner-up Caribou (59). The Vikings got a strong efforts from Ashley Violette and Sarae Greenier, who finished 10th and 11th respectively. The Vikings had an impressive 50 second 1-5 split, and look like the favorites in Class B North this year. 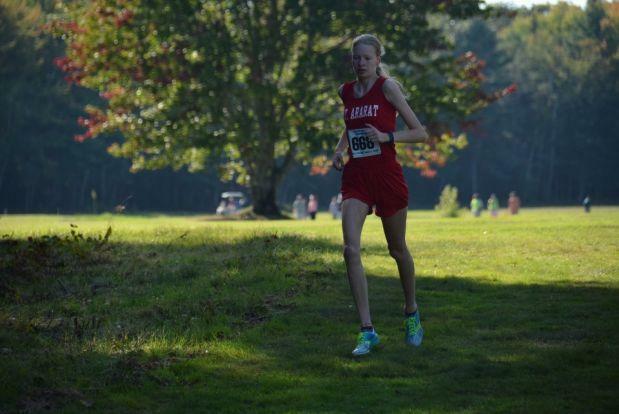 There was another exciting finish coming at the Seacoast Invitational at Sumner High School in Sullivan on Saturday. Brendan Penfold of Deer Isle Stonington appeared to be the pre-meet favorite in the boys' race, but it was Matyas Nachtiagall of Washington Academy crossing the line in first, covering the 3.05-mile course in 17:12 with Penfold a second back in 17:13. This was Nachtiagall's second win of the season (his first came at the Lee Invitational) in just his first year of competing. 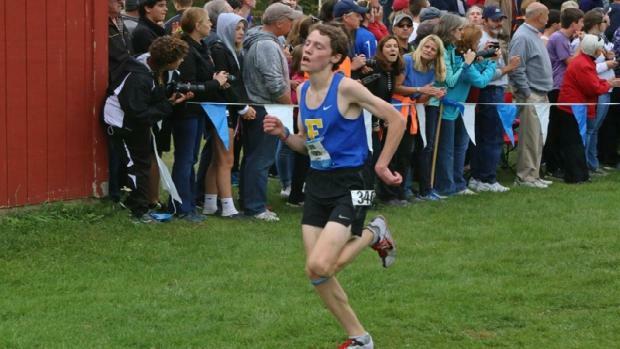 He has quickly established himself as one of the top runners in Class C North this season. On the girls' side George Stevens Academy's trio of Eliza Broughton (20:49), Mary Richardson (21:14) and Zeya Lorio (21:30) swept the top three spots. George Stevens had five in the top-10 overall and scored 22 points to win easily. The Falmouth boys' and girls' teams picked up wins at Kennebunk High School on Friday. Led by a 1-2 finish of Sofie Matson (18:36) and Karley Piers (19:45), the no. 6 ranked Yachtsmen put five runners in the top-11 overall to en route to a 33-35 win over Kennebunk. The Rams got strong efforts from Ava Haritos (3rd, 21:00) and Hannah D'orso (5th, 21:44). Hailey Applebee of Windham was fourth in 21:07. The Yachtsmen boys', no. 2 in the latest poll, swept the first four places and had five in the top seven to score just 17 points. John Auer picked up his first win of the season running 16:34, with Connor Piers 14 seconds back in 16:48. Alex Kinley (17:21) and Charlie Henning (17:22) followed. The Falmouth boys' have some positive momentum moving towards the Festival of Champions this weekend as they hope to defend its 2016 title. In the KVAC, the Mt. Ararat boys' and girls' teams were dominant in victories at Lawrence High School on Friday. Katherine Leckbee, no. 6 in the Flo50, won her third race of the season, covering the 5k course in 20:05, with teammates Camila Cembroniewicz and Karlie Leighton following in second and third, running 20:15 and 20:19 respectively. Mt. Ararat placed its top seven in the top-10 overall scoring 19 points, 26 ahead of runner-up Brunswick (45). Lisandro Berry-Gaviria, no. 3 in the boys' individual poll, stayed undefeated in 2017 cruising to a time of 17:49, finishing over 30 seconds ahead of runner-up finisher and teammate Lucas Bergeron (18:22). The Eagles swept the first four individual spots, and had five in the top six overall to score 16 points, just missing a perfect score. Staying in the KVAC, the Camden Hills girls' and Hampden Academy boys' picked up wins at Cony High School in Augusta on Friday. Taking the girls' race was Maranacook senior Laura Parent winning her first race of the season as she crossed the line in 22:17, nearly 30 seconds ahead of runner-up finisher Tessa Jorgensen of Cony (22:44). Including Jorgensen, the next six girls who crossed the line were all freshmen, four of them from Camden Hills, which scored 51 points, 10 ahead of Maranacoook (61) who was second. The Windjammers appear to be set for the next for years. On the boys' side, Wyatt Lord of Hampden Academy picked up his first win of the season, covering the 5k course in 17:52. Lord was the only runner under 18:00 on the day. Lords teammate Grahme Sokoloski followed in 18:27, with Russell Allen (18:30) and Reece Rodrigue (18:40) of Edward Little close behind in third and fourth. Hampden Academy had another top-10 finish from Jason Mathies who was sixth in 18:50 as the Broncos scored 52 points to finish 10 points ahead of Cony (62). The no. 1 ranked Greely boys' have been dominant thus far in 2017 and it was no different on Friday at York High School. 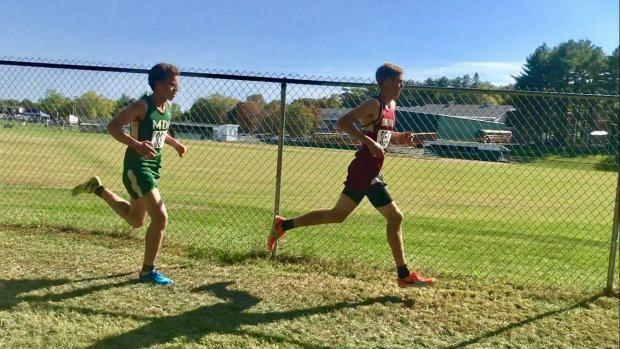 Its top runners Matthew Todd and Luke Marsanskis appeared to take it easy as they finished sixth and seventh in the race overall, and the Rangers were still able to handle York, Traip Academy, North Yarmouth Academy and Yarmouth. 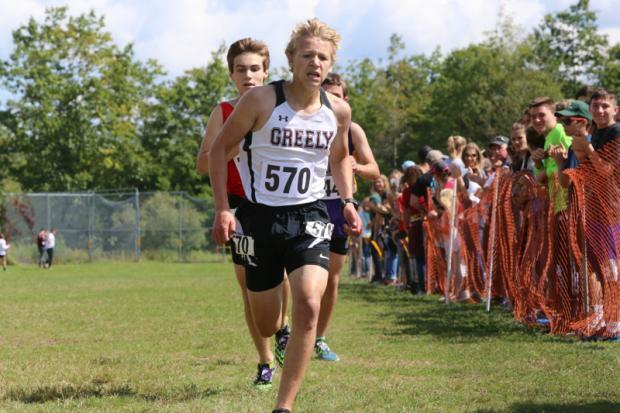 Greely's standout freshmen Sam Wilson covered the three-mile course in 17:38 to take the win, with teammates Adam Bruder (17:40) and Andrew Storey (17:58) following. Yarmouth's Luke Laverdiere was a notable omission from the results, as was most of the Clipper's top five. Laverdiere is looking to win the Festival of Champions for the second consecutive season on Saturday. On the girls' side, York's Kathryn Miller, no. 5 individually, was dominant in victor finishing in 19:03, nearly two minutes ahead of teammate and runner-up finisher Laura Kenealy of York (21:00). Teammate Sydney Fogg was 19 seconds back in 21:19 as the Wildcats swept the first three positions, and had five in the top-10 to score 23 points for an easy win. The Monmouth girls' and the Boothbay boys' picked up wins at the Mountain Valley Conference preview meet at the University of Maine at Augusta on September 20. Leading the charge for Monmouth was Kaitlyn Hunt who finished sixth in 24:26. Faith Blethen of Boothbay picked up her third win of the season as she crossed the line in 21:24. Blethen's sister, Glory, was second in 21:58, with teammate Haily Abbott third in 22:24. The Boothbay boys' won its race easily, with Blake Erhard crossing the line first in 18:25. Teammate Kyle Ames was second in 18:49, and Boothbay had five in the top-15 to score 36 points for the win.